...that the United States Supreme Court has handed down its decision in the landmark DUI case of Missouri v. McNeely. In so doing, Chief Justice Roberts cited Mr. Taylor's preeminent treatise Drunk Driving Defense (8th edition) as authority in the field. California DUI Lawyer Resource Center is the web's most-visited resource for DUI laws, DUI penalties, criminal DUI lawyers, breathalyzers, DUI marijuana, DMV license suspensions and more, and has been created by the "Dean of DUI Attorneys", Lawrence Taylor. 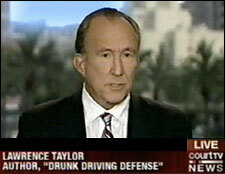 With 44 years of experience, Mr. Taylor is the author of the leading DUI law books for the DUI attorney, Drunk Driving Defense (8th edition) and California Drunk Driving Defense (4th edition). The Law Offices of Taylor & Taylor is a nationally-known firm of California DUI attorneys, with offices in Los Angeles, Orange County, Riverside, and San Bernardino. The 4 DUI defense attorneys, who average 24 years of experience and include 2 former prosecutors, specialize in misdemeanor and felony DUI defense.. The DUI lawyers are backed by a unique support group of DUI experts: 2 former law enforcement officers, a former head of a major police crime lab's blood-alcohol unit, and a former California DMV license suspension hearing officer. The firm has been awarded the coveted A-V peer review rating ("very high to preeminent" in legal ability and ethics) by the International Martindale-Hubbell Law Directory — the highest rating awarded to lawyers and one shared by fewer than 7% of law firms in the United States — and is listed in the prestigious Bar Register of Preeminent Attorneys. The DUI defense firm, twice featured in the American Bar Association Journal for its specialization and unique technical support staff of former DUI law enforcement experts, remains the only one approved by the California State Bar to provide continuing legal education to attorneys. The Law Offices of Taylor & Taylor is proud that 3 of our former attorneys now serve on the bench as judges or magistrates. Mr. Taylor's 20 FAQs, which is widely reproduced on legal websites throughout the internet, present answers to the questions most often asked by citizens arrested for driving under the influence of alcohol or drugs. Provides an overview of drunk driving laws, police investigations, sobriety checkpoints, breathalyzers, criminal penalties, license suspensions, courts and DMV, auto insurance and more in layman's terms. It is a valuable source of information for any driver recently charged with driving under the influence of alcohol (DUI) or driving under the influence of drugs (DUID). Guidelines, resources and recommendations for choosing your DUI defense attorney. Comprehensive source of information for the attorney involved in drunk driving defense, including such topics as field sobriety tests, breath and blood alcohol evidence, drugs and marijuana, forensic toxicology, accident reconstruction and finding expert witnesses. Provides drunk driving resources including federal law, California law and the politics of DWI. Included are California's drunk driving Vehicle Code drunk driving Vehicle Code statutes and the complete text of the most significant U.S. Supreme Court DUI cases. 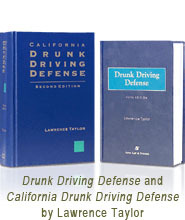 The standard textbooks in the field, Drunk Driving Defense 8th Edition and California Drunk Driving Defense 4th Edition by Lawrence Taylor, author of 13 books. California Drunk Driving Defense was cited as authority by the California Supreme Court in the 2009 case of California v. Neal. Specializing in representing the client facing DUI charges (driving under the influence of alcohol, drugs or marijuana). 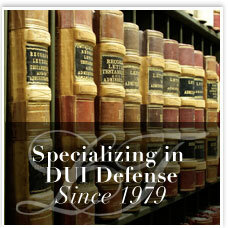 Aggressive defense by highly experienced DUI attorneys with expert technical support. Immediate steps toward reinstatement of the client's driving privileges. Re-analysis of all borderline blood samples for alcohol and preservative by an independent lab at not cost to client. Investigation of equipment and procedures used in each breath test. Personal attention to the client and ease of access to the attorney. Insulation of the client from having to appear in court or at hearings, unless necessary. Free initial consultation at our offices or in the privacy of the individual's home. Major credit cards readily accepted. The Law Offices of Taylor & Taylor stands ready to guide you through this ordeal. Although nationally-recognized for its experience and courtroom skills, the firm never loses sight of its focus on personal attention to the client -- as reflected in the many grateful comments we receive from our valued clients. We invite you to contact our DUI defense firm's founder, Lawrence Taylor, or our Managing Attorney, Christopher Taylor, for a free consultation. Mr. Taylor is nationally recognized as the foremost authority on DUI litigation and constitutionality in the United States, and is one of only two DUI attorneys in the country to be recognized with a biography in Wikipedia. A University of California (Berkeley) and UCLA law School graduate, he is a former prosecutor and Fulbright Professor of Law. He was a founder of the National College for DUI Defense, served on the Board of Regents and was elected Dean for 1995-1996; he is one of only 5 California DUI lawyers that is certified by the National College's American Bar Association accredited specialist program as "Board Certified in DUI Defense Law", and the only one further designated "Senior Specialist". Thousands of attorneys have attended over 200 drunk driving seminars in 38 states to hear his successful techniques. 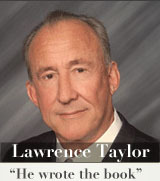 Mr. Taylor is listed in The Bar Register of Preeminent Attorneys, The Martindale-Hubbell International Directory of Attorneys and Who's Who in American Law, and is often featured on radio/television and in the press, including such publications as the Los Angeles Times, Christian Science Monitor, Wall Street Journal, People Magazine, Lawyer's Weekly USA, American Bar Association Journal, Los Angeles magazine, USA Today, National Law Journal and California Lawyer. On July 25, 2002, at Harvard Law School, Lawrence Taylor was presented with the National College's "Lifetime Achievement Award". 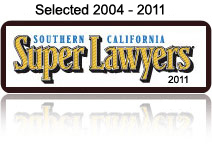 He was selected as one of Southern California's "Super Lawyers" for 13 of the past 15 years in surveys of over 65,000 Southern California attorneys -- one of only two Los Angeles DUI attorneys or Orange County DUI attorneys selected.